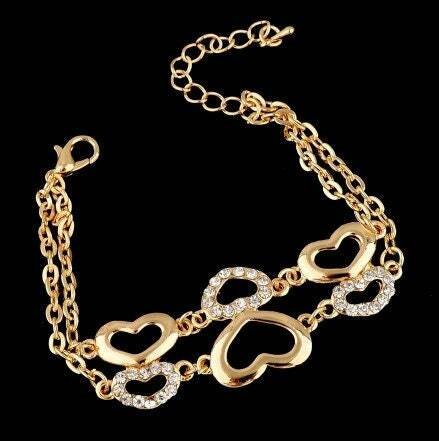 Gold Heart Rhinestone Double Chain Bracelet. The Gold Plated and Rhinestone Heart links have a heavy feel and lays down and hangs very comfortably. Lobster clasp closure for positive lock.